In 1871—the same year that the Japanese mint was founded in Osaka—the Meiji government officially adopted the yen as Japan’s currency, and since then the yen has remained its primary form of money. The yen is the third most traded currency in the foreign exchange market after the United States dollar and the euro. The yen, which means "round object" or "circle" in Japanese, comes in four denominations of bills while coins come in six denominations. Coins were first minted in 1870. They feature images such as flowers, trees, temples, and rice. Unlike many coins worldwide, Japanese coins are stamped with the year of the current emperor’s reign rather than a year based on the Gregorian calendar. Coins have been made of nickel, cupro-nickel, bronze, brass, and aluminum. The one yen coin is entirely made of aluminum, it can float on water. Bills come in 10,000 yen, 5,000 yen, 2,000 yen, and 1,000 yen quantities while coins come in 500 yen, 100 yen, 50 yen, 10 yen, 5 yen, and 1 yen, and all bills and coins are different sizes with larger amounts correlating to larger sizes. Banknotes were first made in 1872, two years after coins were first minted. They feature images of Mount Fuji, Lake Motosu, flowers, and many animals such as lions, horses, chickens, and mice. Japanese bank notes are some of the world's most difficult bills to counterfeit. If you are planning to travel to Japan, you'll need to understand the basics of the Japanese yen in order to properly make purchases including paying for your meals and accommodations, shopping in one of the many commercial districts of the country, or even paying for your cabs and services in Japan's many cities. 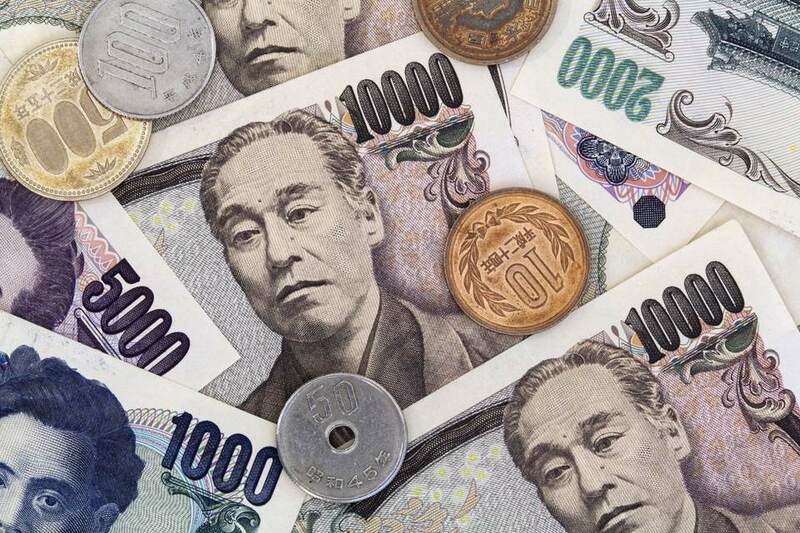 In Japan, traveler's checks and some foreign currencies can be used at most large hotels and duty-free shops; however, most businesses only accept the yen. More and more places including shops, hotels, and restaurants take credit cards. With a weaker yen, the easing of visa requirements, and the 2020 Tokyo Olympic and Paralympic Games bringing more tourists, there will be even more places that will start accepting credit cards. Whether you have a credit card or not, you really need to have some local currency. For the best rates, exchange your money at the airport, post office, or authorized foreign exchange bank before you start your Japanese adventure. You must have cash when traveling to small cities and rural areas. It’s also preferred to use cash if the price is a small amount. In other words, you will want to have small denominations for taxis, tourist attractions, small restaurants, and shops. Coins are great to have on hand for travel lockers, public transportation, and vending machines. Do not rely on ATMs. Most Japanese ATMs do not accept foreign cards and might be closed at night or on the weekend. You should be able to find an ATM that you can use in 7-Eleven stores, the airports, post offices, or other international establishments that accommodate foreign travelers. In Japan, IC "integrated circuit" cards, which are prepaid transportation cards, can have value added to them and are handy to have for public transportation fares, lockers, and vending machines. The value of the yen fluctuates like the dollar. But, to give you a sense of what a meal costs in Japan, you can buy a bowl of ramen for 500 to 1,000 yen. Although, a dinner might cost you about 3,000 yen. A subway ride costs about 200 yen. A taxi ride averages about 700 yen. To rent a bike for a day costs about 1,500 yen. Entrance fees to museums and attractions cost about 300 to 1000 yen per person.